The all new Ranger is tough, precise, and ready for anything. The Ranger Series is the "go to" scale for the toughest jobs, with durable construction, user-friendly operation, and fast, precise weighing and measuring capabilities. Watch the video here. We are having troubles when we try to analyse our samples to obtain a normal potassium value. Sodium or other values do not generate any odd values or problems. Any tips on trying to solve this issue? Advise this member. Can someone tell me which part is the Temp sensor piece. Our centrifuge was diagnosed that the temp sensor must be broke, and must be changed. We ask them to try to switch the temp sensor from the other centrifuge with the same model that we have but he refused to try and only suggest us to pay them to get a new piece. If anyone has any clue, I would really appreciate it. Advise this member. The door indicator is stuck in the up position and the door won't close. Is there a switch in the unit that can be manually switched? Advise this member. 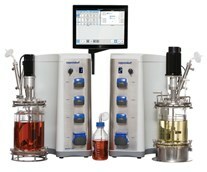 The Eppendorf BioFlo 320, next-generation bioprocess control station, is designed as a universal platform capable of meeting the ever changing needs of all segments of the biotech and pharmaceutical sciences. Suitable for microbial to cell culture, scale up to scale down, or batch to fed-batch process, the BioFlo 320 has the right combination of features to get the job done, all within an ultra-compact footprint. Read more about the BioFlo® 320 on the EPPENDORF website. This is a brand new California Air Tools VP50 with our customized extras. Polypropylene and polystyrene are two of the most common polymers used to manufacture plastic lab supplies and other materials. So what’s the big difference? We are here to help. In this blog we will discuss the main characteristics of the two types of plastic and what key benefits each of them offer. SP Industries, Inc. ("SP"), a leading designer and manufacturer of state-of-the-art laboratory equipment; a full line of research, pilot and production freeze dryers for biological drug manufacturing solutions; laboratory supplies and glassware, announced today that it has acquired the assets of privately held PennTech Machinery Corporation, a global provider of complete vial handling solutions covering washing, sterilization, filling, stoppering, capping and both tray and freeze dryer loading/unloading equipment, located in Warminster, PA. Read more. Horizon Discovery Group plc, the leading international gene editing company supplying tools and services that power genomics research and the development of personalized medicines today announces the launch of HDx™ FFPE RNA Fusion Reference Standards, independent analytical controls for the optimization and validation of targeted RNA-seq, endpoint RT-PCR or RT-qPCR assays. Read more. Cannabis oil extract has been used medicinally for generations to help treat a variety of conditions, and its popularity has increased considerably in recent years. Of the various extraction methods used, ethanol extraction is increasingly becoming the method of choice because of its ability to economically and effectively produce an extract with a high terpene content that is safe for consumption. Read more. Terra also brings to its customers decades of experience in technical, consultative sales, as well as online resources to assist in product selection and configuration. We Have one Equipment (Cilas 920L Particle Size Analyzer) and we want to calibrate it . Can someone help me out on how to calibrate this equipment? It will be highly appreciated! Advise this member. I'm an operator of an AB Sciex QTrap4500. I have a problem with drifting of resolution values (width on PPG masses were about 0.3) and a loss of intensity (on PPG the intensity is normal, but on the analyte it became lower than it was). What can be a reason of these problems? Advise this member. Could someone provide any details of the extraction requirements for this peace of equipment. I.e. mechanical extraction in close vicinity of the unit. Advise this member.